When does worry become depression? When does casual drinking become a problem with alcohol? Is anxiety over everyday things normal? These are the kinds of questions many of us wrestle with. We wonder if the way we feel, and the things we do to change how we feel, are healthy or not. Thursday, October 11th is National Depression Screening Day® and the best thing any of us can do is get information and remove doubt. That way we either attain peace of mind or know that we need to take positive action to remedy the situation. After all, they say that ignorance is fear. Well, on the flipside, knowledge is power. And when it comes to our mental health, we need to have that power. Now there's an easy way to learn more about your mental health. Online screenings provide a free, anonymous, simple option. Whether for depression, alcohol, anxiety or another mental health issue, a screening will help you to better understand your state of mind and whether it might be in your interest to seek further help. 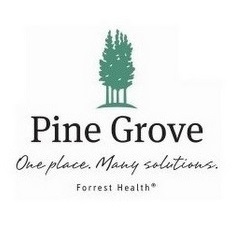 Pine Grove is sponsoring free depression screenings on October 11th and anyone can sign up in the main entrance of Forrest General Hospital. Click on the link below to take a screening online or locate an event near you.